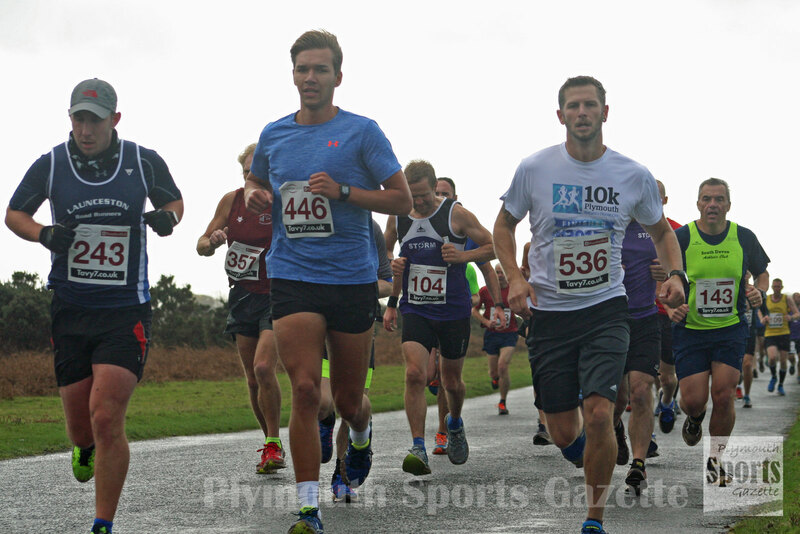 JORDAN ANDREWS backed up his victory in the Plymouth 10k by winning the Tavy 7 race on Sunday morning. Andrews held off the challenge of his Tavistock Run Project team-mate and last year’s winner Jim Cole to claim the title. He stormed home in a time of 38 minutes and 36 seconds, with Cole crossing the finish line in 39.12. Fellow Tavistock Run Project athlete Ben Neale, who had been runner-up for the past two years, took third place in 39.34. 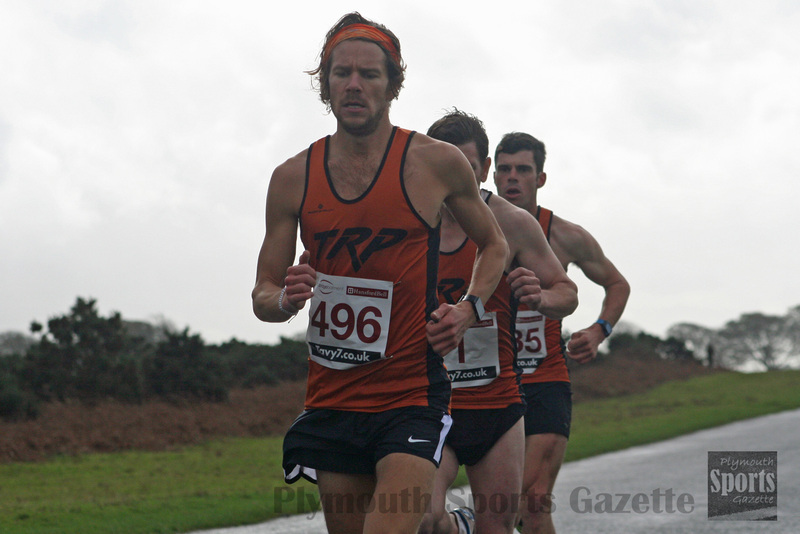 Torbay’s Pete Monaghan was fourth and first over-50 in 41.27, with Storm’s Ross Perkins fifth in 42.01. 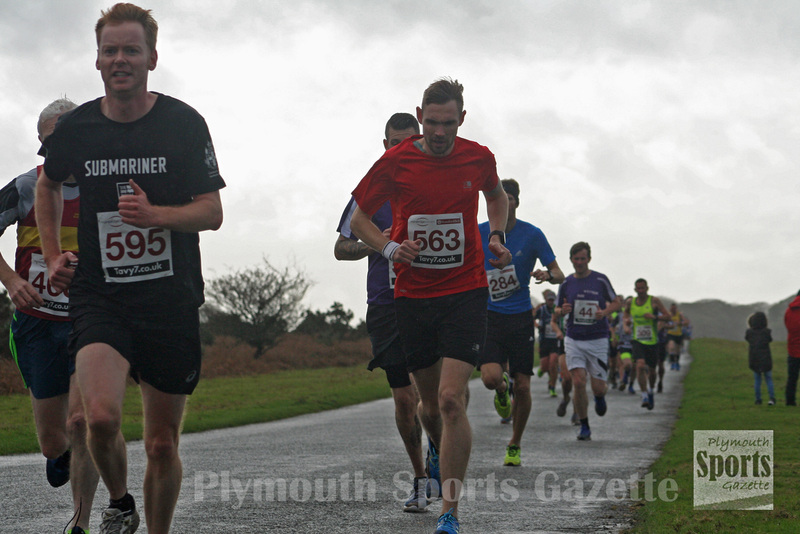 Plymouth Harriers’ Steve Hill was eighth and first over-40, while Plymstock’s Graham Bale was ninth and second over-50. Tavistock’s Allan Herdman took the male over-60 prize, while Erme Valley Harriers’ Ken Summer was first male over-65. The women’s race was won by South Devon’s Michelle Cowley, who clocked 45.43 minutes. Tavistock Run Project’s Rachael Malthouse was second female in 46.20, while Tavistock AC’s Sam Lake was third women and first over-35 in 47.35. City of Plymouth’s Paula Simson was fourth female and first over-40, while Tavistock AC’s Tracey Oxborough took the over-50 prize. The race, which sees athletes complete seven miles on Dartmoor had sold out weeks in advance. In tricky weather conditions, 521 runners finished the race.